Without the overhead and expense of adding new buildings, the 24-Hour Library is enabling us to bring more library services further into the community with unlimited hours. With the EnvisionWare 24-Hour Library you can provide 24/7 access to library materials and services at a fraction of the cost of building a branch. Intuitive to use and easy to maintain, the 24-Hour Library™ enables patrons to check out and return materials, place and pick up holds, download audio and ebooks, browse the catalog, and more. 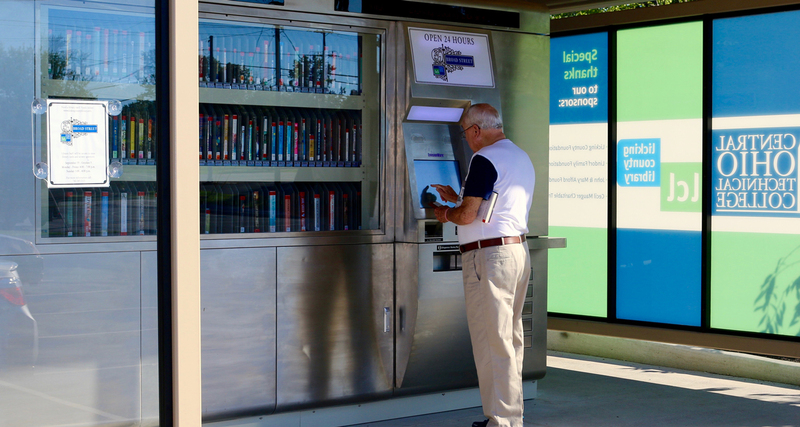 The 24-Hour Library is available in two models, depending on the needs of your location. This full-service solution is ideal for busy residential and commercial neighborhoods without a nearby location, as well as public parks, community centers, shopping malls, and wherever people spend time in your community.